The first edition of the newly established brokerage and charter show, SeaYou – Yacht Sales & Charter Days, is getting underway in Genoa this weekend. Organised by Marina Genova, with support from a number of sponsors, the inaugural event will take place from April 12 – 13 showcasing a number of yachts and superyachts available for sale and charter, measuring from 18 to 80 metres. Attending brokers, owners and charter clients will also be invited to take part in an accompanying programme of meetings and networking sessions. A number of conferences dedicated to industry issues, with a specific focus on sustainability and protecting the oceans, are also scheduled. 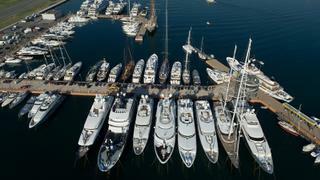 Organisers said the event would help solidify Genoa’s role in the international yachting sector. Marina Genova is situated near the centre of Genoa and offers 100 superyacht berths for vessels measuring up to 130 metres in length.